Dr. Boggs grew up wanting to be a veterinarian. He graduated with an undergraduate degree in Animal Health and Biology from the University of Georgia, and then went on to attend veterinary school at UGA. 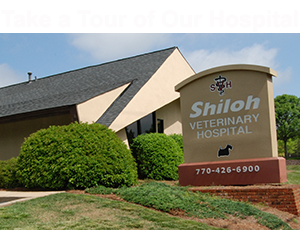 Dr. Boggs graduated from veterinary school in 2004, where he then did a one-year small animal internship at Georgia Veterinary Specialists in Atlanta. His interests include emergency medicine, neurology and internal medicine. Dr. Boggs is married to the love of his life, Erin, and has two incredible and talented step-daughters. His other "children" include a Jack Russell mix named Dottie, and two cats, Izzy and Shadow.